Chantelle Standard Pillow Sham. 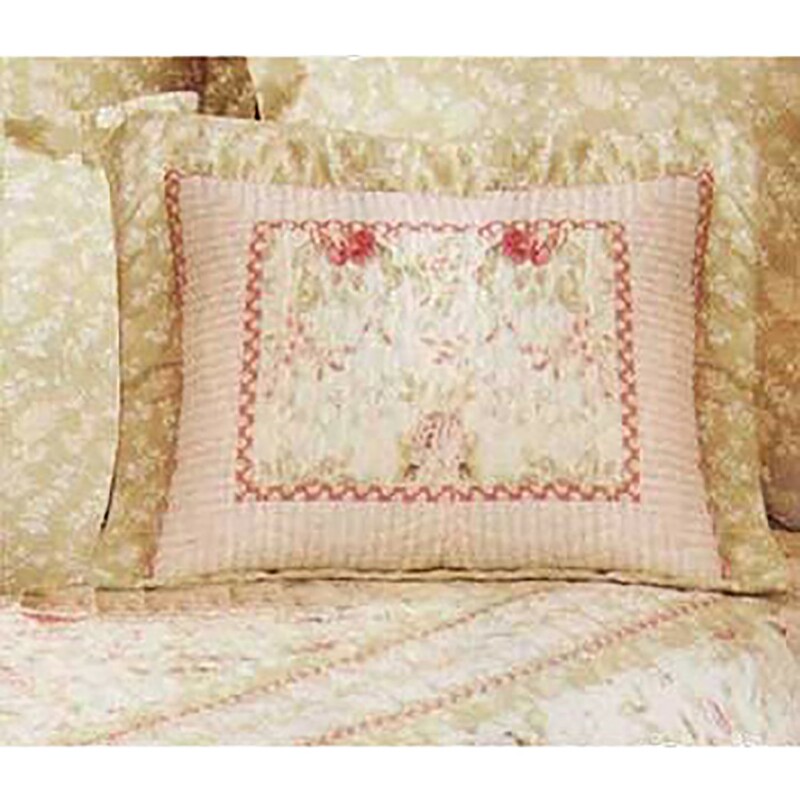 From our Chantelle Collection this sham has a soft cotton cover and light polyester filling. Sold individually matching bedroom coordinates are sold separately. Adorned with pretty cabbage rose and sage leaf silhouette print. Machine wash cold on gentle cycle. Tumble dry on low or line dry. Do not bleach. Measures 21 x 27 inches.